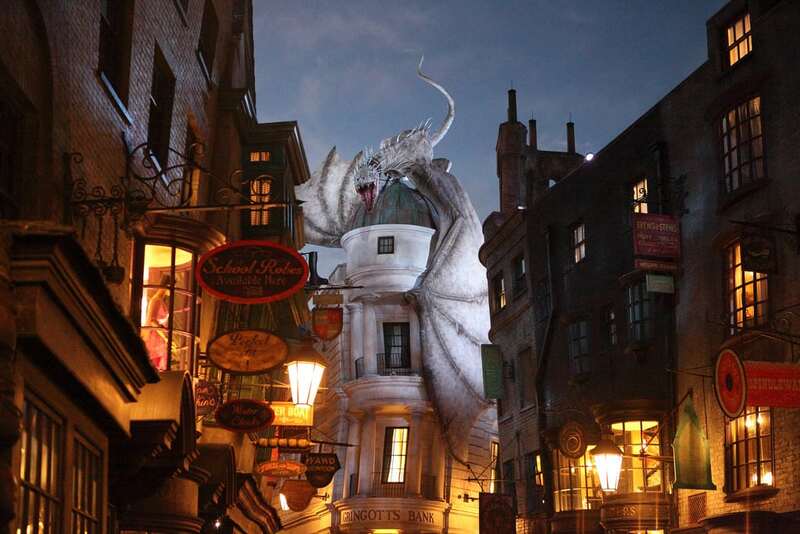 Harry Potter’s Diagon Alley may soon become a “lost relic” if plans to build a £400 million skyscraper are approved, conservation experts have warned. Leadenhall Market is used in the Potter films as the entrance to Diagon Alley while the wizard’s pub The Leaky Cauldron is actually an opticians in the Victorian market. The proposed “glass lump” – a 36 storey development – would obscure the Grade II listed market’s glass roof if it replaces the existing seven storey office block. Furious conservationists and diehard Harry Potter fans have called for the plans, which would “significantly harm the streetscape” to be halted. Alex Bowring, conservation adviser for the city’s Victorian Society, said: “A tall building is not appropriate for this site, considering the detrimental impact it will effect on numerous heritage assets. Most notable is Leadenhall Market, which it abuts. “Such an absolute break in the skyline would significantly harm the streetscape and given the proximity, Leadenhall Market would be made to look like a lost relic rather than part of a wider and relatively coherent townscape. Leadenhall Market, built in 1881, has been a marketplace since the 14th century and stands on what was once the centre of Roman London. During the filming of Harry Potter and the Goblet of Fire Harry and Hagrid were filmed walking through the market on the way to the Leaky Cauldron. The skyscraper, on 1 Leadenhall Street, has been designed by architect firm Make, run by former Foster and Partners architect Ken Shuttleworth. One sad Harry Potter fan Rhiannon Evans said: “This is a place of cultural significance for millions of people around the world. “I am devastated that Diagon Alley could be affected by this horrible skyscraper. Make have been contacted for a comment.